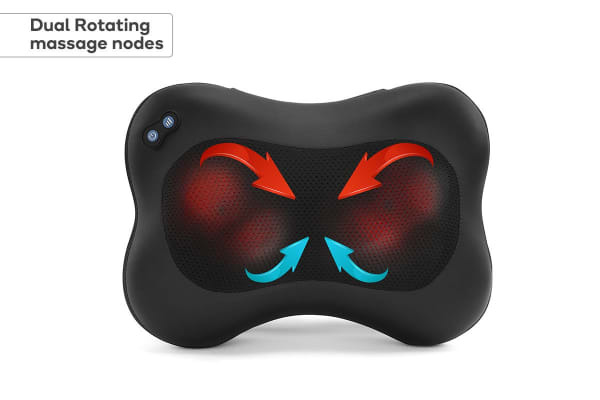 Enjoy your own portable Shiatsu massage therapist with the Kogan Heated Deluxe Shiatsu Massage Pillow, helping to soothe your muscles and alleviate tension. 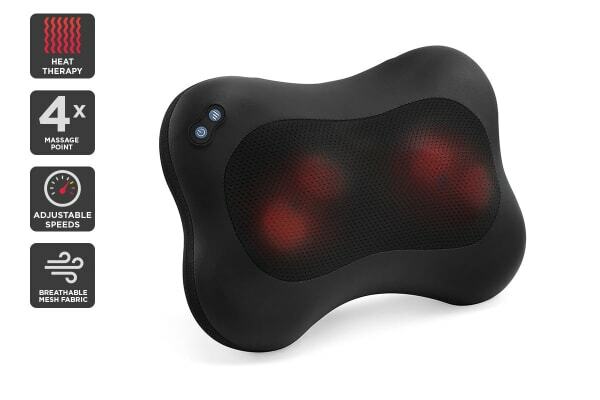 Whether you’re sitting in front of the TV or at the office, melt into indulgence with an invigorating, deep kneading massage from the Kogan Heated Deluxe Shiatsu Massage Pillow – effortlessly soothing your back, stomach, neck and legs. Crank up the comfort with the Kogan Heated Deluxe Shiatsu Massage Pillow’s heated function. Heat therapy has been shown to increase the flow of oxygen to the muscles, helping to relieve discomfort and soothe soreness caused by sedentary sitting, tough workouts or everyday stiffness.